Good news on the UK-Norway ferry, plus a look at Norwegian cruise ferries. Also, a quick look at Austria’s Ennstal Classic. P&O brings another ship to Dover-Calais as Brittany Ferries opens bookings for next year. Very near miss in a Norwegian tunnel this morning. Eyebrows raised as former F1 driver Gerhard Berger is recruited in a road safety campaign. The UK-Norway ferry project is still on. Or, at least, not off. His comments come a week after the Norwegian Minister of Transport said a ferry to the UK was not a priority. Also, a mid-June do-or-die deadline for the project came and went without an announcement. 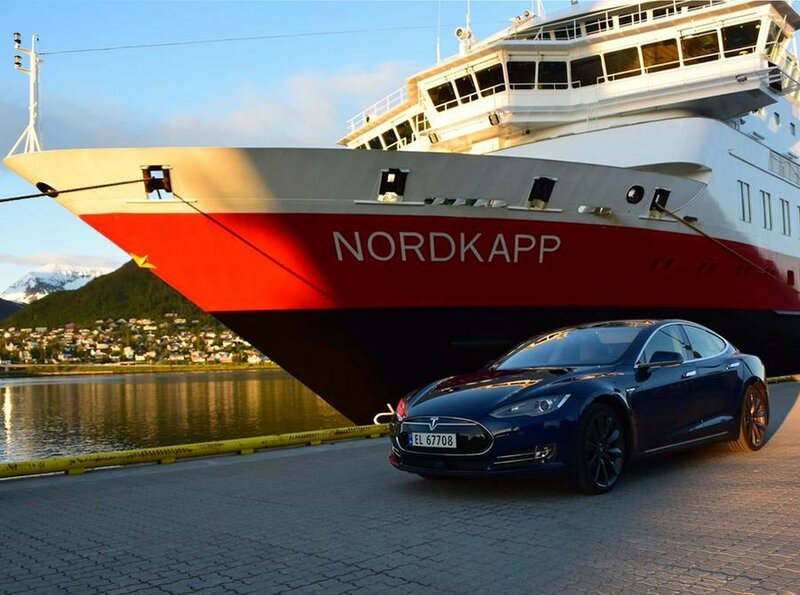 In the meantime, thanks to a new Tesla road trip, attention turns to existing ferry services in Norway. A group of owners are off on a cruise ferry on Hurtigruten’s Nordkapp. Hurtigruten’s services run right around the Norwegian coast, from Bergen in the south west to Kirkenes on the Russian border via Europe’s most northerly point Nordkapp (and many other places in between). The up-to-seven day full-board trip is not cheap however. A couple plus car – in an inside cabin – should expect to pay around €3,000, one-way. 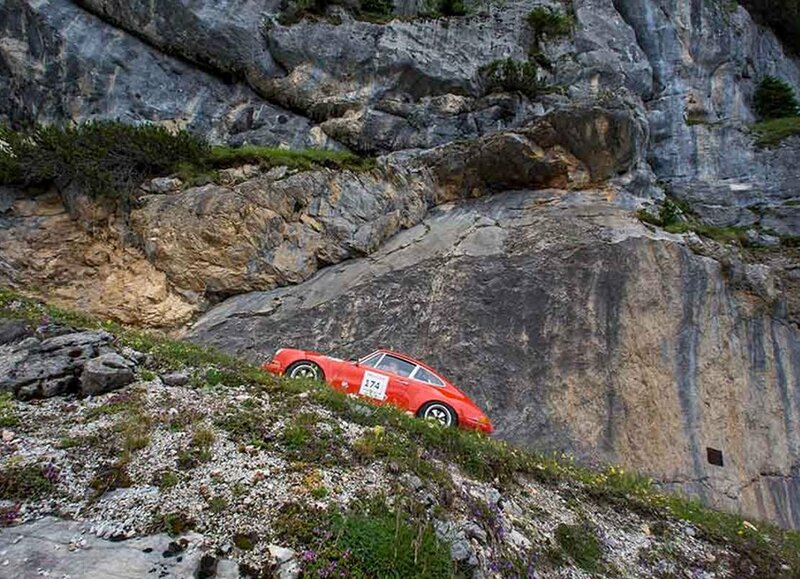 With Porsche and Chopard as sponsors, the Austrian Alps as a backdrop and an oversubscribed entry list for pre-1973 cars ‘with an interesting curriculum and sporty past’ – plus a few priceless specimens from the Porsche Museum – all the ingredients are there to make this week’s Ennstal Classic an enviable event. There are two parts to the four-day, 800km proceedings: a timed regularity marathon and an all-out Racecar Trophy on closed roads. Today the cars leave Grobming in central Austria heading east via Nockalmstrasse and Solkpass to the Red Bull Ring. The photos are updated almost in real time and, needless to say, are well worth a look. Photo @PorscheNewsroom. roundup: CHANNEL. P&O will add an extra ship to Dover-Calais from August bringing the total to six reports Port of Dover. European Seaway previous served the route and will be dedicated to freight, freeing up space on other ferries for passengers. In total the firm will then make 58 crossings on the Channel each day, eight more than currently and more than any other ferry company it says. Meanwhile, Brittany Ferries has released bookings for next year. Timetables are now available for right through until November 2016. NORWAY. A tanker trailer carrying 16,500 litres of petrol detached from the tractor unit as it was being pulled through the underwater Skatestraum Tunnel on route 616 on the west coast this morning. The resulting explosion saw six people injured, none seriously reports RT.com. The tunnel however is closed indefinitely. Fortunately, early fears it would collapse proved unfounded. The detour involves two ferries, from Isane on the 614 and Maloy on route 15. ROAD SAFETY. Former Formula One driver and team owner Gerhard Berger is the latest public figure to support the European Transport Safety Council’s (ETSC) Let’s Go campaign to have the EU reinstate its serious injury target. Berger very narrowly avoided crashing into Damon Hill during the latter’s championship winning race in Japan in 1996 and was known for his spirited practical jokes. In May the European Commission quietly backtracked on an earlier promise to set a target for serious injury reduction this year. More than 70 well-known faces have since joined ETSC to push for its reinstatement. Last year serious injuries rose by 3% in the EU even as road deaths are in long term decline.